Kevin Baloyi was born and bred in Alexandra Township, Johannesburg, South Africa. After graduating from the LEAP Science and Maths School and following a gap year, Kevin joined the Future Leaders Program in 2014 with plans to become a teacher. 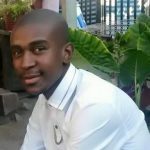 He is currently working at LEAP in Johannesburg as a student teacher and is a student at the University of South Africa studying for his Bachelors of Education. Kevin was part of a select group of teachers-in-training who traveled to the U.S. in 2016 as a part of a Global Teachers Institute and Teach WIth Africa exchange program studying schools and programs in California. Kevin is passionate about Education and Technology and has taught himself many technology strategies that he plans to incorporate in his teaching. He recently started a production business, designing logos as well as taking and editing videos. Game-Based Learning (GBL) is an instructional method that meets the millennial generation head on by incorporating educational content into digital games in order to engage learners more deeply. GBL draws upon the constructivist theory of education where learners actively make meaning of content by doing, as well as by playing. Today’s students, as digital natives, even without a lot of technology experience think and process information fundamentally different than earlier generations. GBL can be easily incorporated into any classroom and the engagement will be immediate. This workshop will show examples of Game-Based Learning and give teachers a chance to experience it themselves by designing a game with an online platform called Kahoot. “Kahoot allows you to create a game for any subject, in any language, on any device, for all ages!” You will see that non-violent digital games can facilitate planning and problem-solving that can be customized to your curriculum. Mental quickness, vocabulary growth, teamwork and memory all are benefits of GBL.